Oculus dodged a bullet but still got grazed. 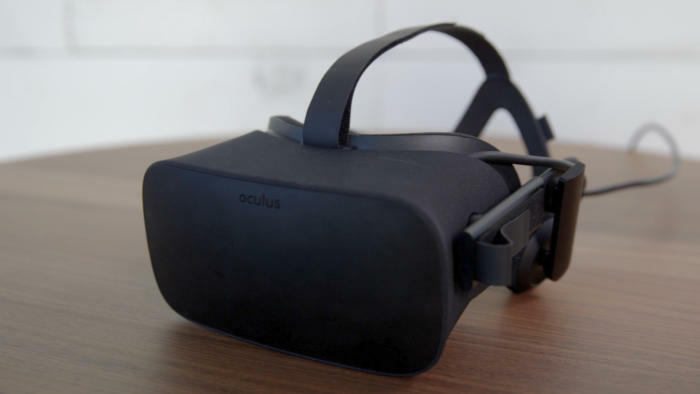 Nearly three years after ZeniMax first filed suit against Oculus for “illegally misappropriating ZeniMax trade secrets relating to virtual reality technology,” the case has finally drawn to a close—though likely not to ZeniMax’s satisfaction. Oculus is cleared of any charges related to stolen assets and expertise, and thus can presumably continue to sell its Oculus Rift virtual reality headset uninterrupted. Not that Oculus escaped entirely without penalty. One of ZeniMax’s secondary complaints involved breach of contract on Luckey’s part, with Zenimax alleging that Luckey violated an NDA by using its intellectual property (specifically Doom 3: BFG Edition) in—among other things—the original Rift Kickstarter video. For its troubles, ZeniMax was awarded $500 million by the jury. But that’s it, and $500 million is a far cry from the $2 billion in compensation and $2 billion in damages that ZeniMax originally asked for. Nor will ZeniMax have any hold on Oculus going forward. That’s important, given the case hinged on ZeniMax trying to prove that ex-id employee John Carmack stole VR tech on his way out the door, and that Palmer Luckey didn’t have the expertise to create the Rift on his own. If true, that would’ve put the company in an awkward position, with Oculus owing its success entirely to ZeniMax. The actual outcome, albeit still containing a hefty penalty for Oculus to pay, at least keeps the company intact and day-to-day operations moving forward. We’ve also reached out to ZeniMax and will update the story when its statement comes through. And while this is the quick-and-dirty summation of three weeks of testimony, I recommend giving Polygon’s in-depth coverage a read if you’re interested in the suit’s nitty-gritty details. You'll find plenty of great quotes inside, including ZeniMax’s lawyer asking Zuckerberg “If you steal my bike, and you paint it and put a bell on it, does that make it your bike?” Ouch. ZeniMax just gave us their statement. It's a bit long, so I'm going to try and grab the relevant bits, which are the beginning and end. "We are pleased that the jury in our case in the U.S. District Court in Dallas has awarded ZeniMax $500,000,000 for Defendants’ unlawful infringement of our copyrights and trademarks, and for the violation of our non-disclosure agreement with Oculus pursuant to which we shared breakthrough VR technology that we had developed and that we exclusively own. In addition, the jury upheld our complaint regarding the theft by John Carmack of RAGE source code and thousands of electronic files on a USB storage device which contained ZeniMax VR technology. While we regret we had to litigate in order to vindicate our rights, it was necessary to take a stand against companies that engage in illegal activity in their desire to get control of new, valuable technology." "We will consider what further steps we need to take to ensure there will be no ongoing use of our misappropriated technology, including by seeking an injunction to restrain Oculus and Facebook from their ongoing use of computer code that the jury found infringed ZeniMax’s copyrights." This trial may be over, but it sounds like we're a long way from finished with Oculus versus ZeniMax. We'll update you when we hear more from either side.